Bright colours, long eye stalks, inflatable abdominal sacks, or snappy dance moves, there are many traits that males possess that individuals use to choose a mate. In each case, the traits can signal some aspect that is important to survival and reproduction such as predator escape ability, foraging skills, or body size. 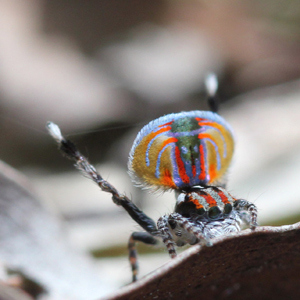 But in many instances, animals like the peacock spider can use multiple cues simultaneously to signal their quality to a mate. Why in the world would males do that? 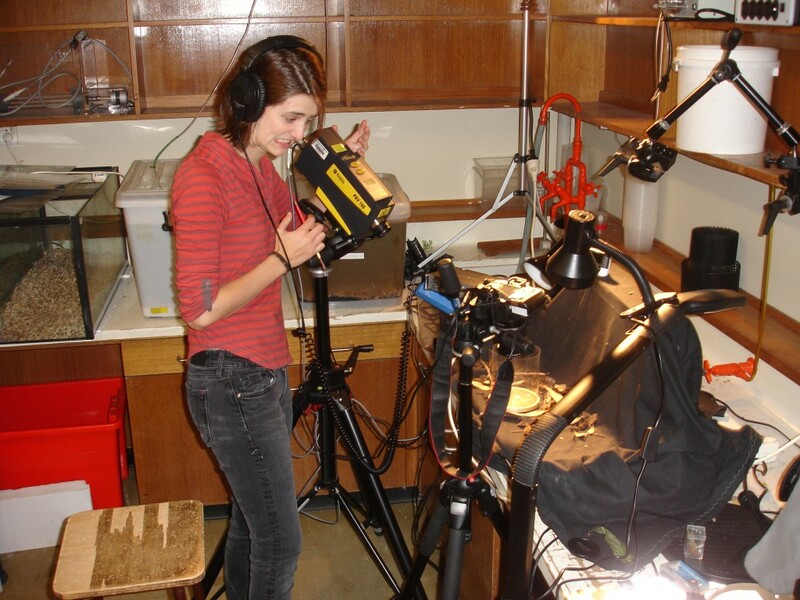 Our work headed by Maddie Girard, explores the ecological and socially selective pressures that have shaped male signals. By collecting and mapping the diversity of male visual, vibratory, and colour displays, we can explore the various selective pressures that have shaped the diversity in male signals, leading us to better understand the evolution of multimodal signalling. This project is funded by the Hermon Slade Foundation.